Sónar Istanbul has revealed its stunning line-up of audio-visual arts for 2019. The newly announced audio-visual programme will run alongside the slew of musical acts already confirmed for the forthcoming edition. 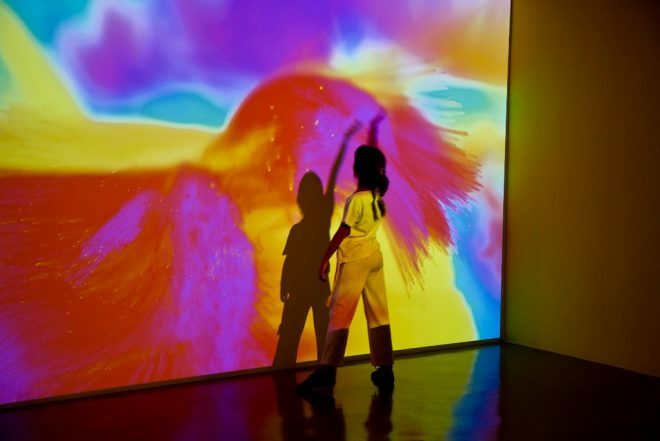 The audio-visual shows include TUNDRA’s ‘Nomad’, comprising of multimedia performances revolving around human emotion, a show using artificial intelligence dedicated to Grimes by C/A, and ‘Body Paint’, an interactive project from Memo Akten. There will also be shows from Caterina Barbieri, Martin Messier, Ali Demiral, Kaan Bulak, Push 1 Stop and Tolga Boyuk. This diverse range of art will be joining Modeselektor, DJ Stingray, Octo Octa, Volvox, HAAi, Bicep and many more in Istanbul on March 8 and 9. The venue for the festival is Zorlu Performing Arts Center, with different areas to immerse in the broad range of local and international talent. Check out tickets for Sónar Istanbul here.